Home/Can I create two timesheets for the same emplaoyee in a single pay run? Each time sheet will be taxed separately and have a separate Pay Advice. 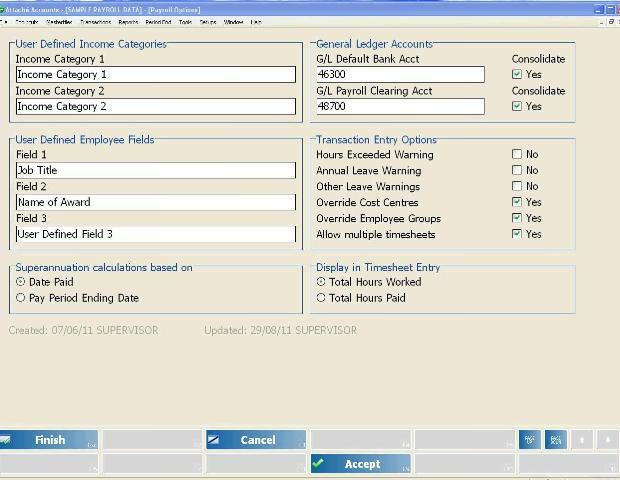 Separate cheques or banking details will also be generated if the employee is paid by either of these methods. Note: If you are using monthly super calculations, it will not calculate correctly when there is more than one time sheet in the last pay for the month. You will need to do a separate super calculation run.